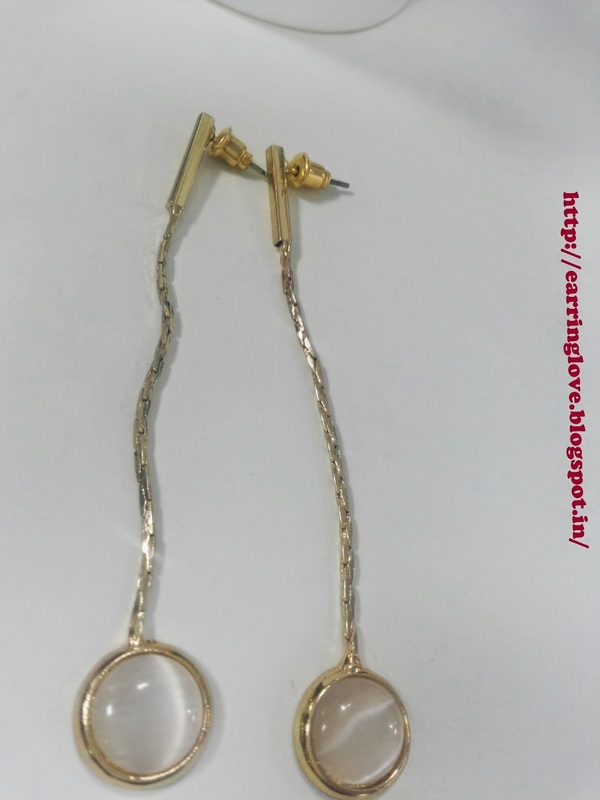 This being an earring and accessory blog, I have hardly posted any related material over the last few months. I thought it's time to change things up and spice up a little bit. 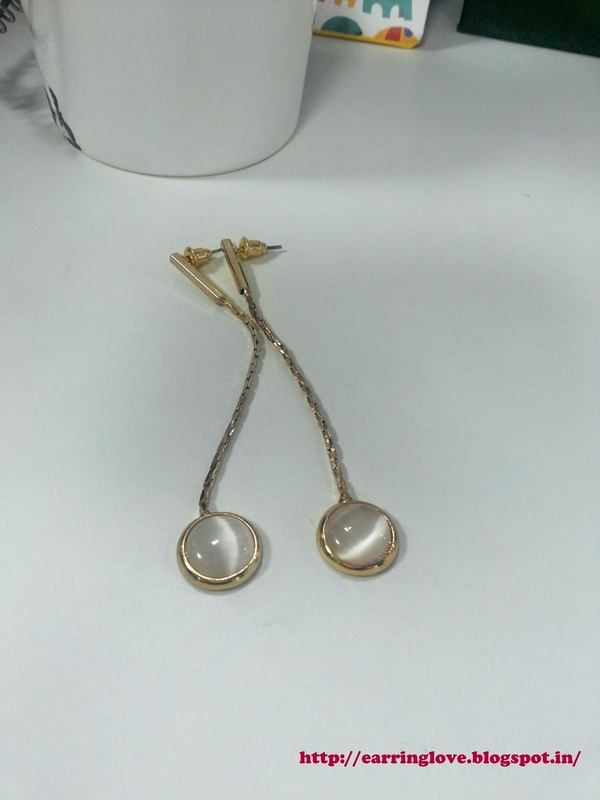 I love long earrings as I feel they make my face look more elongated (btw, I have a round-oval cross face). I picked up this earring as part of my anniversary shopping spree. 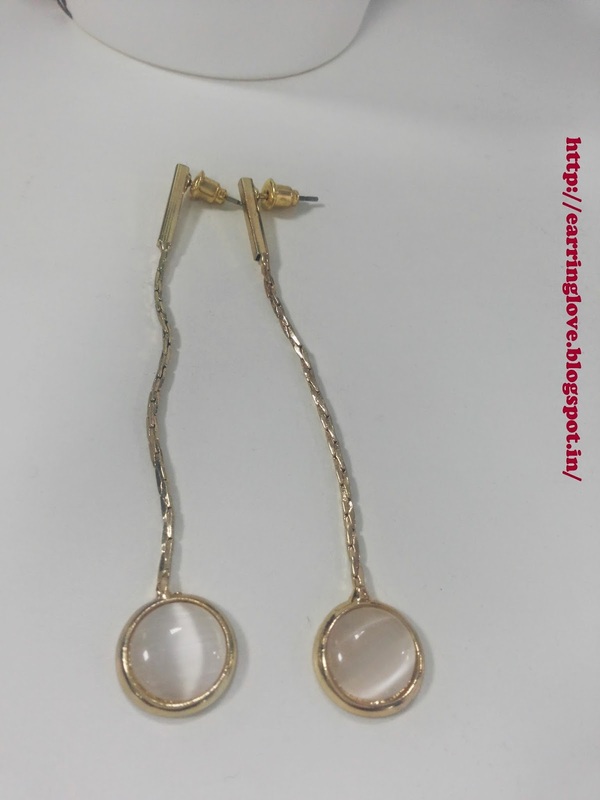 Its a simple earring with long golden colored chain and a white stone at the bottom. oooh by the way, I wanted to give you guys a sneak peak of my workstation. 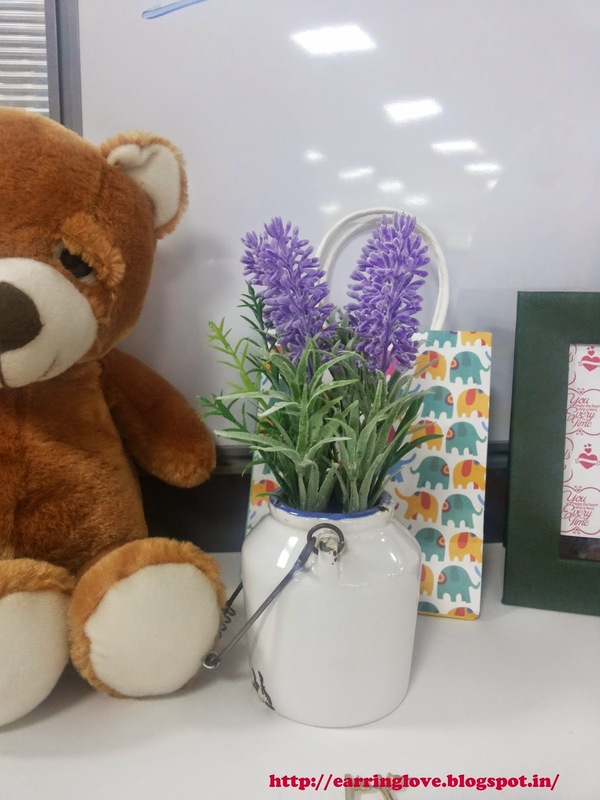 You can see my desk teddy (who looks sad), Chumbak cover with pretty colorful elephants, a photo frame sans any picture and my latest acquisition, a vintage flower pot with artificial flowers. I got them from the home decor section of lifestyle at buy one get one free offer. One of the pots is placed in my makeup space. Together they cost me 400 bucks :). So what all junk stuff do you keep at your workstation?. Let me know. The earrings are fab :) but keeping a teddy bear at a workstation??? ?